After a leg amputation, patients want to make sure that their prosthetic fitting provides them with maximum mobility and allows them to lead a self-determined life. 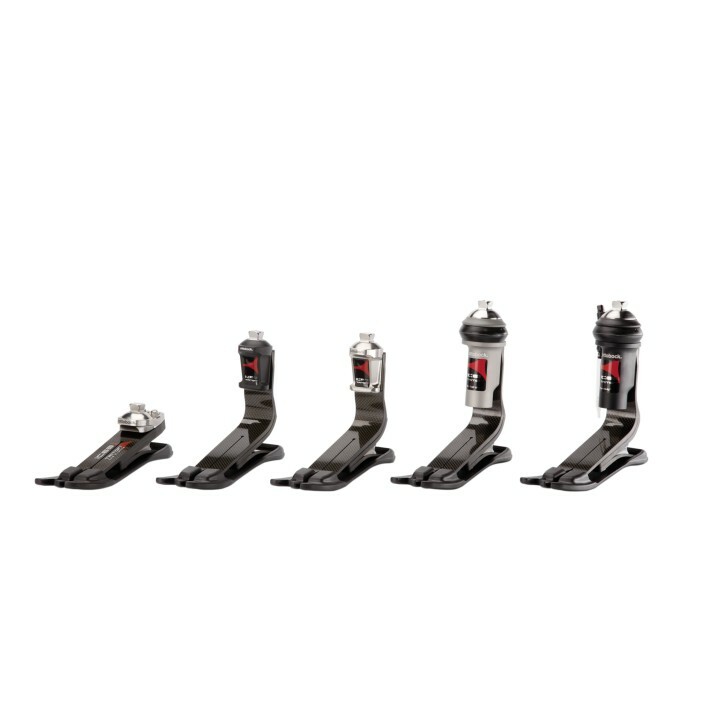 With the Triton family of products consisting of the dynamic, highly durable 1C60 Triton, 1C61 Triton Vertical Shock, 1C62 Triton Harmony®, 1C63 Triton Low Profile and 1C64 Triton Heavy Duty carbon fibre prosthetic feet, we have developed interactive foot spring systems to meet the highest requirements. The feet in the Triton family not only support the user during safe knee flexion, but also enable an effortless rollover. The system effectively cushions the exposure to shocks. Recognised with the 2011 reddot design award, the Triton family of products is suitable for patients with transfemoral or transtibial amputations as well as knee or hip disarticulation. The prosthetic feet recommended for a moderate to high activity level can be used for a body weight up to 150 kilograms, depending on the foot size. Your orthopaedics specialist is happy to advise you regarding available footshells and different heel heights.